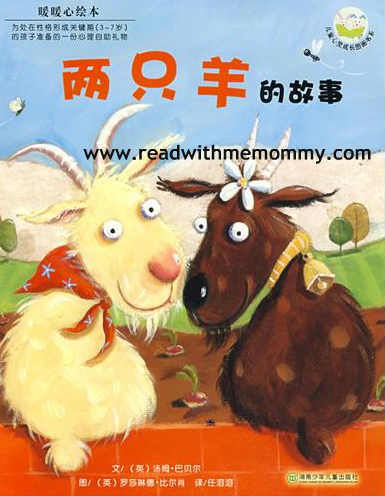 A Tale of Two Goats [两只羊的故事] is an English original, written by Tom Barber and illustrated by Rosalind Beardshaw in 2005. This is the Chinese translated version. Farmer Cole and Farmer Jones who each owns a goat, tend a large farm which are next to each other. 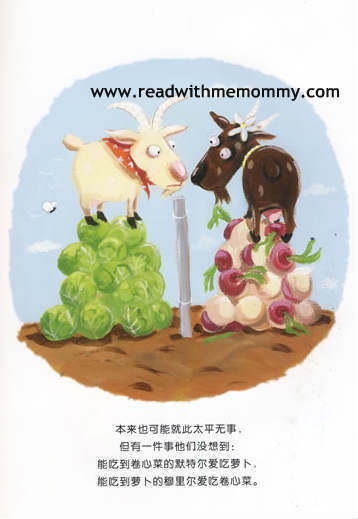 These two farmers are afraid that his neighbor's goat will come into his farm and eat up all his vegetables, so they decide to build fences between the two farms to keep their neighbor's goat away. That's when the trouble starts. The goats are good friends and love to be in the company of each other. In order to stay together, they chew through wooden fences, dig tunnels under brick walls and even at jumping over very high fences. 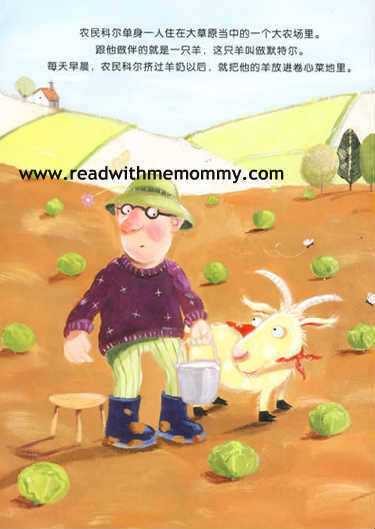 What can Farmer Cole and Farmer Jones do in order to keep both their goats and themselves happy? . Through this simple story, parents can teach their child about the friendship and sharing. Available in soft cover, with 26 colourful pages. 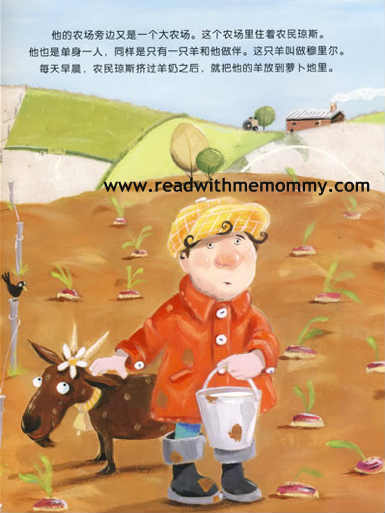 We would recommend this book for reading to children who are 3 years and above. For self read, it is recommended for children who are 7 years old and above.